Living room storage is available in a countless array of designs. But what if you want something a little more chic? Perhaps you fancy something with more individual flair, or a personal touch… This is a common problem, because many perfectly functional modern wall units are built in a minimalist style that can seem a little too impersonal to some. Well, here at homify we love to help, so we've chosen 8 of the most chic storage ideas for your living room. They range from standard wall cabinets with a special touch to quirky furnishings for those who feel a little more adventurous. We hope you find something here to suit! Wall-to-ceiling cabinets are an incredible way to create lots of storage. But why not add a little pizzazz by separating them with a narrow shelf? It could even be illuminated with diffuse lighting like this. Upcycled suitcases are definitely cool. 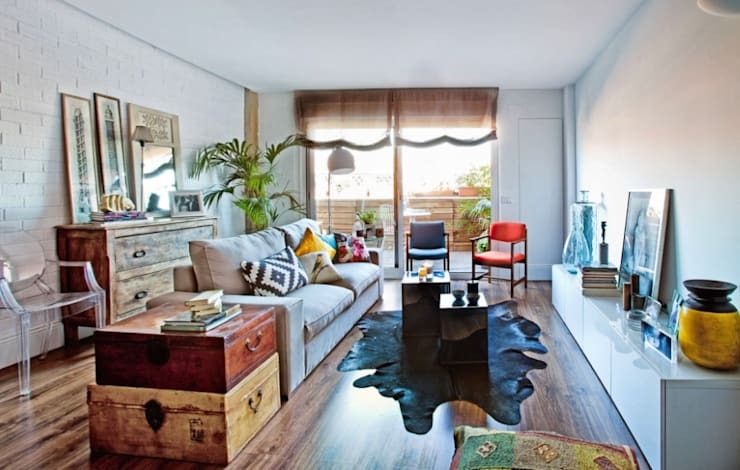 They also add a little old-world charm and character to your living room. What's not to love about this! Living room storage doesn't have to be boring. A wall-mounted geometric shelving unit like this could be used to add a little decorative flair to the living room as well. This kind of thing works well in conjunction with some low lying built-in units or side tables. These low wooden cabinets are very stylish and practical. We love how the lower shelf has been covered with a glossy black cover to provide lots of space to hide items. Let's not forget that kind of unit could also work as a low bench or side table as well. 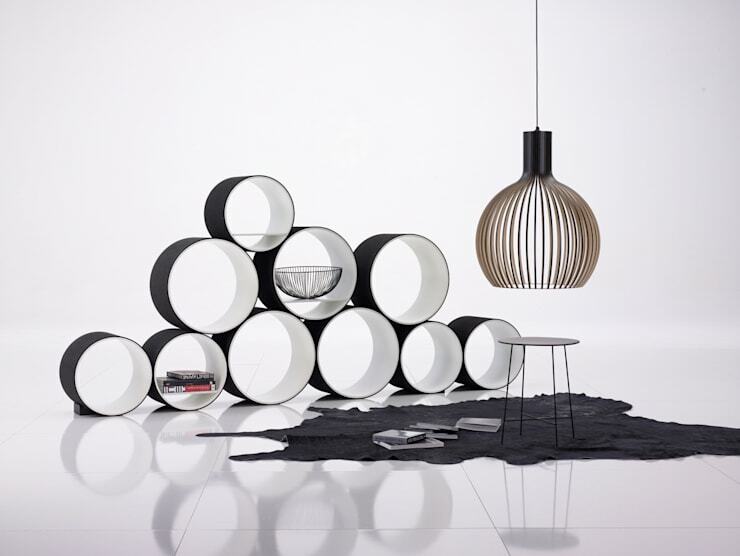 Room dividers and screens can also be used to provide stylish storage. These chic tubular units can be configured to suit a huge range of spaces. They also allow for a free-flow of light throughout the space. A large free-standing bookshelf is a really classic approach that should never be overlooked. 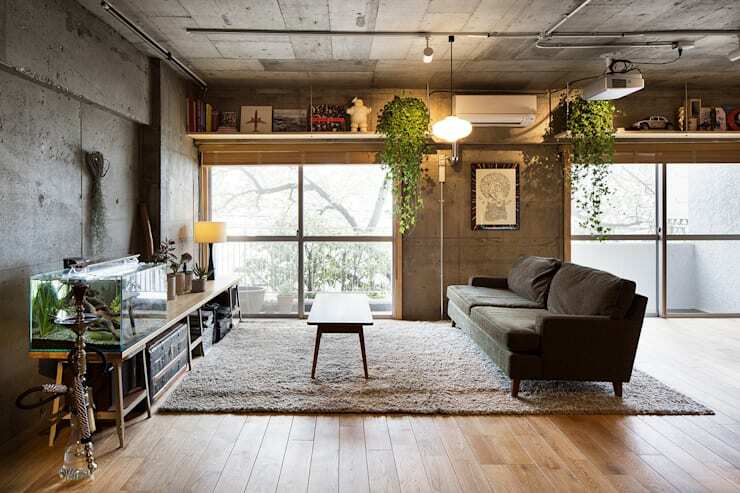 This kind of unit can be cluttered though unless it is customised to run the entire length or height of the room. 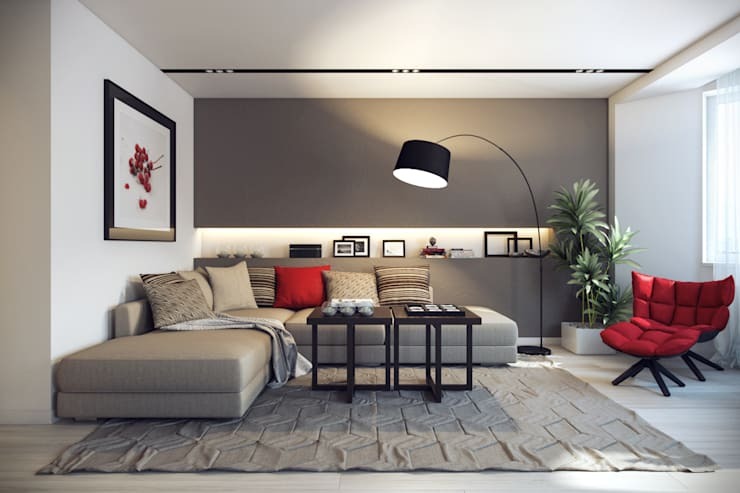 It can also take up a lot of visual weight in the room, so it's best to choose a unit with a neutral colour or an elegant wooden design like this. A high shelf that runs along the length of the living room can be wonderful. This is the place to storage your beloved items for display purposes only. It can also be a lovely place to place houseplants with long hanging tendrils. Finally, a simple wall cabinet can be made into a stunning decadent feature with some artworks in open shelving. 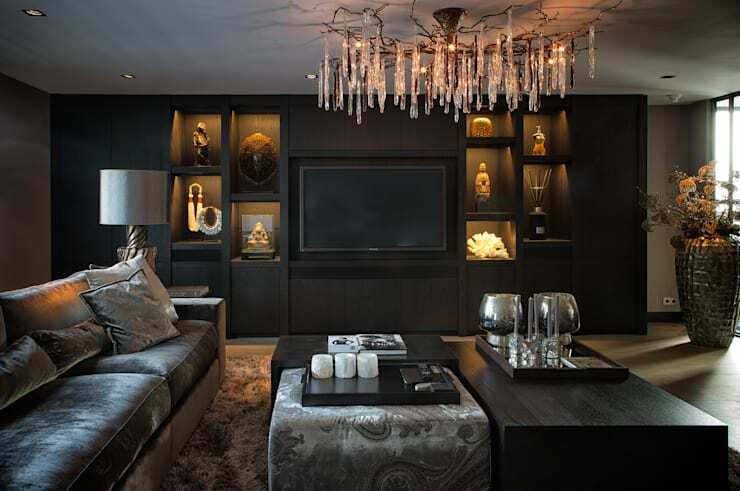 As seen here, they can be dressed up with accent lights to create a totally dramatic effect. For more smart storage ideas, check out 10 storage solutions for a tiny bathroom. Which of these chic living room storage options is your favourite?